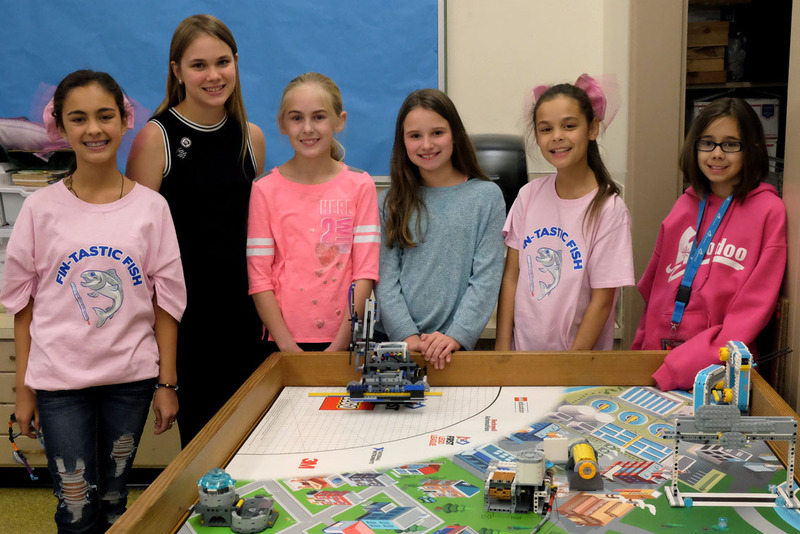 The First Lego League (FLL) competition season has started, and Oak Grove Elementary School is bringing two teams to compete this year – a girls’ team and a boys’ team. The competition starts tomorrow at a regional qualifying event at Oregon State University. The teams are competing under the leadership of third-grade teacher Mark Gullickson. There are three aspects of competition. 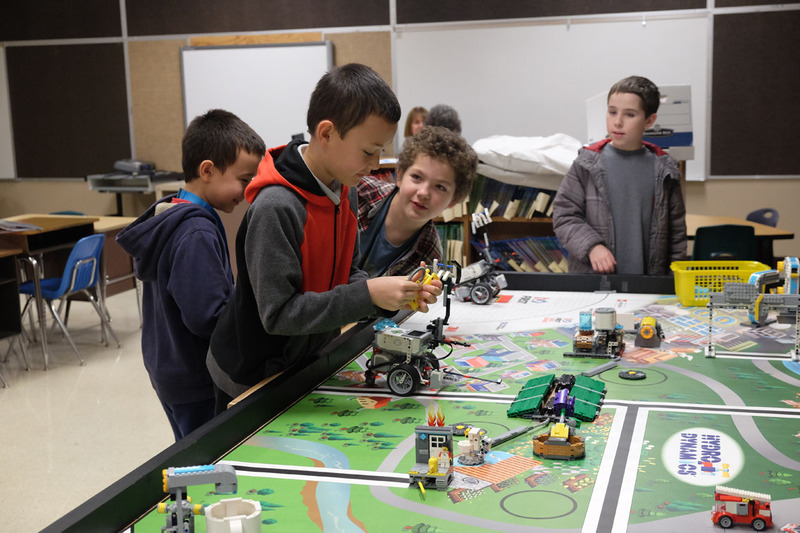 Each team builds and programs a robot to complete a course with a series of tasks. Points are awarded based on the level of difficulty and the number of tasks that are completed. There are 18 possible tasks on the course. The teams predict they will complete between nine and 12 tasks in the allotted time. They select the tasks strategically to earn the most points. Judging is also based on a research project that defines a problem and proposes a solution, and team core values, or how well they work together. The veteran Fin-tastic Fish girls’ team will compete for the second year with two new members. 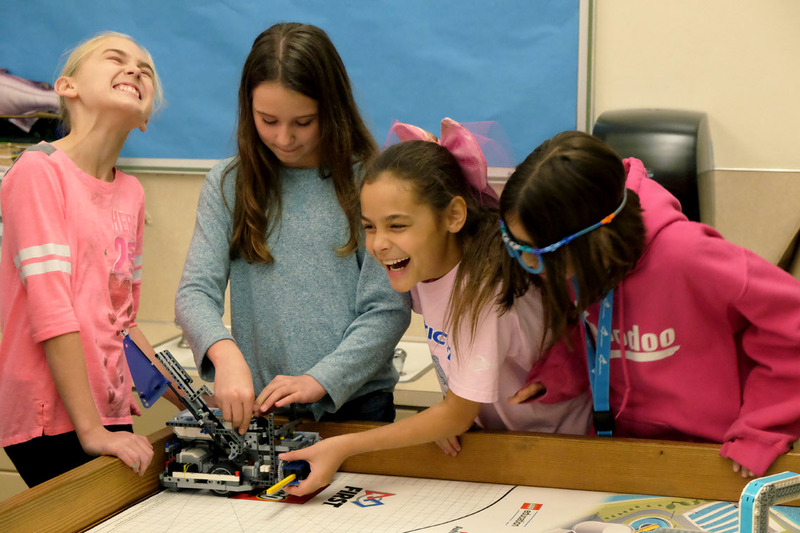 In the team’s first year, the girls qualified for state competition and were named a featured team by First League Lego as a Celebration and Shout-Outs featured programs. 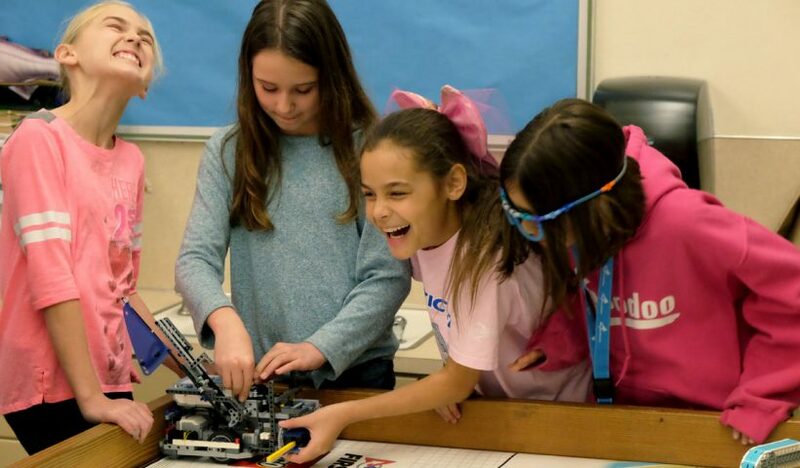 In addition to the Lego competition requirements, the Fin-tastic Fish have been awarded a grant from Boeing to develop their research project’s innovative solution to generating power. They have built a micro-hydroelectric power generator for their research project. The project is meant to provide electricity to allow students in small villages without electricity to study at night. A boys’ team has also formed with help from parent volunteers Matt Gelhaus and Raylene Babbitt. The coaches are available to support the team, but the students must perform all of the work. 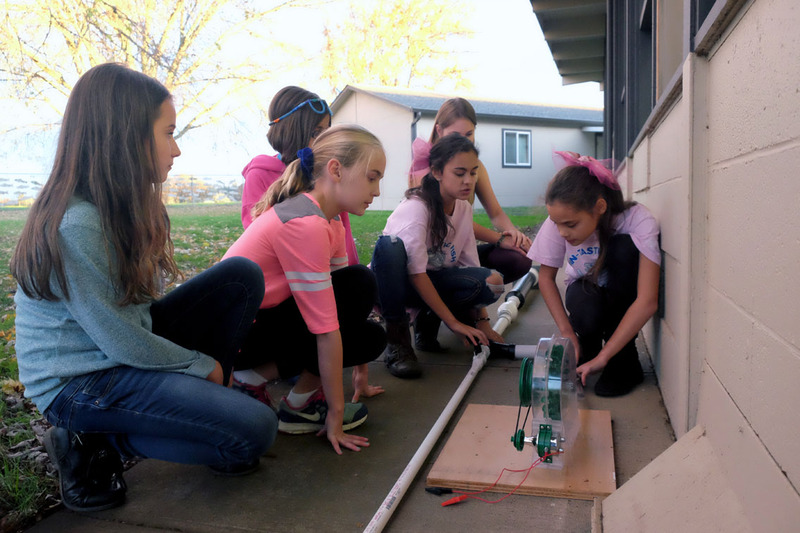 This is the second year of competition for the team, which includes two fifth graders, one fourth grader and two third graders. The team has two returning members and three new ones. 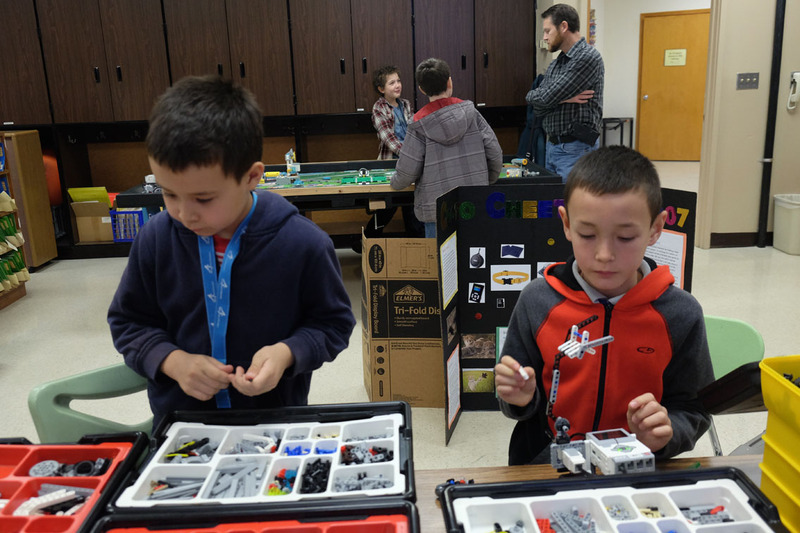 This year, they are working with a better Lego kit. “I think we can do it (qualify for state) this year because our kit is a lot more expensive,” said Henry Glass. The team research project proposes a solution to water quality in flood-damaged areas. The project treats the water to allow for reuse by trapping it in tanks, treating it and returning it to the community water system for use.